This 3 Leaf Quality Balsamic Vinegar of Modena PGI is obtained by fermentation of selected grape musts and fine wine vinegars that is matured in barrels of different types of wood until it reaches a refined and slightly sweet taste. It is perfect to use with roasted meats and fish and to make your own sauce or reduction. The Balsamic Vinegar of Modena has been in the Mazzetti Family DNA for three generations and since 1976, the Mazzetti brand is one of the most widely distributed brands for Balsamic Vinegar of Modena in the USA. Initially based in an ancient building of ''Le Cantine Motta'' in Cavezzo, Mazzetti has since expanded to two larger plants (always remaining in Cavezzo) along with an aging department, which today is able to stock over 7 million liters of Balsamic Vinegar of Modena in wood. The Balsamic Vinegar of Modena Mazzetti L'Originale is produced according to strict disciplinary PGI (Protected Geographical Indication) of the European Union, which has been protecting the product since June 2009. 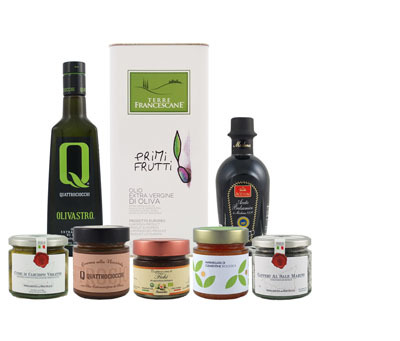 In addition Mazzetti has embraced the philosophy of AIB, the Association of Italian Balsamic Tasters, which uses the Leaf System to classify the vinegar based on chemical and sensory analysis of each production lot. Four leaf quality balsamic with a smooth, sweet taste. Aromatic sherry vinegar from the south of Spain.